G.P. Putnam's Sons Books for Young Readers, 9780399175695, 96pp. 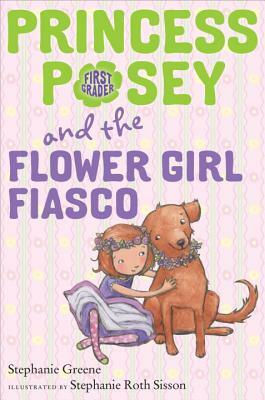 In her 12th chapter book, everyone's favorite first grade friend, Princess Posey, learns that sometimes exciting news comes with big changes. When Posey's grandpa announces that he's marrying her neighbor, Mrs. Romero, Posey is thrilled! She LOVES Mrs. Romero and she's going to be the flower girl! But then she learns that Mrs. Romero will be moving away, and her dog Hero, too. That is just about the worst news ever. Now Posey wants nothing to do with the wedding, but that is making everyone miserable--including Hero. Can Princess Posey and her tutu be strong enough to do what will make everyone happy again? Stephanie Greene is the author of many acclaimed books for young people. She meets pink, purple, green, and blue princesses everywhere she goes.